Product prices and availability are accurate as of 2019-04-23 05:48:18 UTC and are subject to change. Any price and availability information displayed on http://www.amazon.co.uk/ at the time of purchase will apply to the purchase of this product. 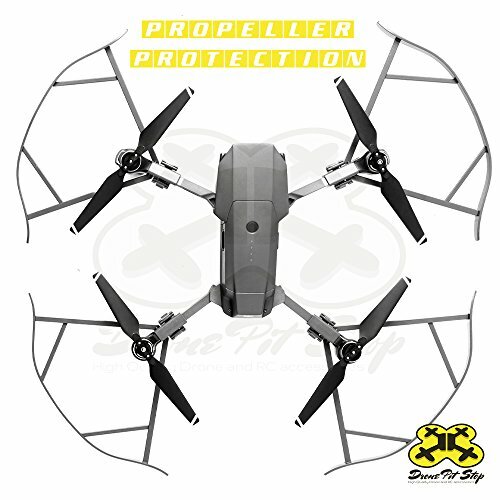 No drone pilot is immune to propeller-related accidents and the aftermath could be anything from the end of your quad's life to physical injuries. If the accident takes place in a crowded place, the upshots could spread out to innocent bystanders and that's a situation you don't wish to find yourself in. 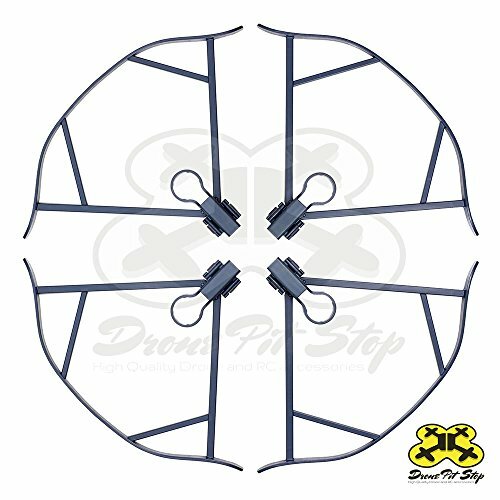 These are but a few reasons why you need these prop guards from Drone Pit Stop to protect your Mavic, that innocent bystander, and of course yourself. These are made out of plastic but not the typical plastic that cracks at the slightest encounter with moderate punishment. Take these prop guards, test them by bending them yourself, and among the things you shouldn't expect is seeing them crack. However, repeating the same by running them into a tree at full speed might fracture them, but the good news is your quad and props are not going to suffer the same fate as your guards might. You will be glad you put them on for that particular flight when you'll watch your bird fly like a champ even after surviving a horrible crash or a small tree branch accidental encounter. 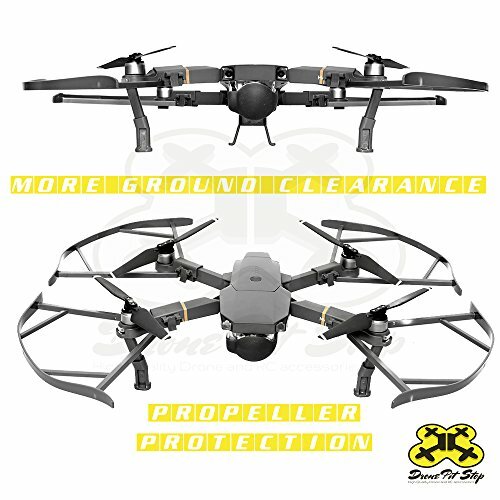 The gimbal is the most delicate and sensitive component on your Mavic, maybe even the most expensive, it is placed under its belly, very close to the ground, keeping in mind the Mavic has no legs, and that you have paid a fair decent price for it, it is hard to avoid small, incidental contact with the drone's surroundings, especially when landing, so do your Mavic a favour and give it the additional protection it needs. 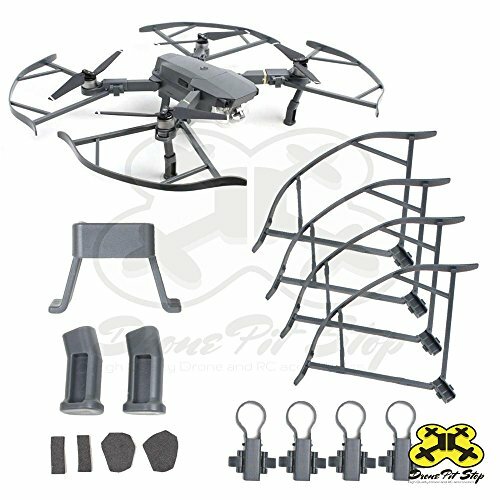 Includes: 4 x Quick release propeller guards for Mavic Pro + 1 set of landing gear. 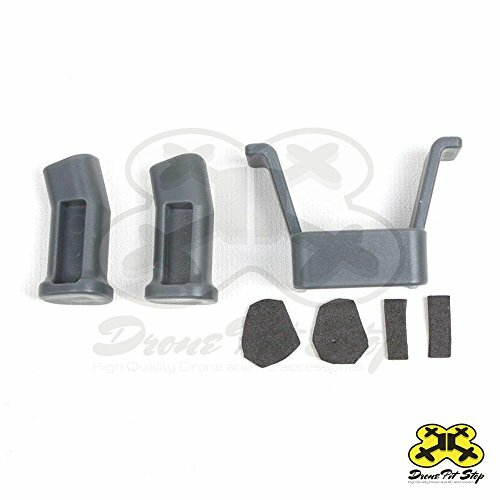 This protection kit offer extra safety when flying your Mavic pro. Landing gear offer protection in takeoff and landing while the prop guards offer extra protection while flying. Easy to instal - it takes only a few moments to install and remove both prop guards and gimbal guard. 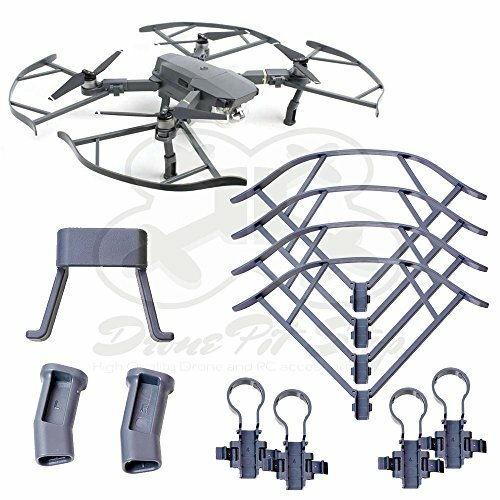 Lightweight - The prop guards weight 120grand and landing gear only 53grams Drone Pit Stop - 100% Satisfaction Guaranteed Or Your Money Back.